The San Angelo Police Department is a full service law enforcement agency with an authorized strength of 159 sworn officers. As of February 12, 2003, the San Angelo Police Department employed 147 sworn officers. The two major components of the San Angelo Police Department are the Field Operations and Investigations. Chief Russell Smith’s law enforcement career began as a reserve deputy with the Tom Green County Sheriffs Department in 1977 and ended when he retired as the San Angelo Texas Police Chief in 1999. 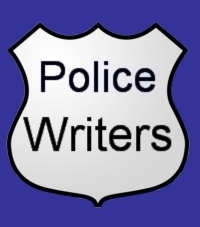 This experience spurred his professional writing career when he sold his first article to a police trade magazine in 1980. Russell spent five years as an outdoor columnist for the San Angelo Standard-Times and several magazines. He received numerous awards for his writing and photography from the Texas Outdoor Writers Association. Chief Russell Smith is the author of The Gun That Wasn't There.